Shawn, Amy, Shaylyn, Allison, Jason, Tyson and Dylan. 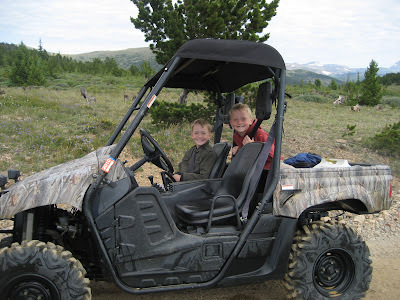 We had a great time four wheeling yesterday with the Calder family, Elton Bingham, and Johann. We did the Kingston Peak trail which is located West of Boulder near Nederland.